The "Good Old Days" - Were They Really That Good? http://www.indigofinance.com.au/wp-content/uploads/2017/03/default-v2.jpg 198 300 wsadmin http://www.indigofinance.com.au/wp-content/uploads/2017/01/indigo-finance-logo.png wsadmin2014-09-24 01:31:472017-03-09 02:45:23The "Good Old Days" - Were They Really That Good? What do changes in the Privacy Act mean to you? 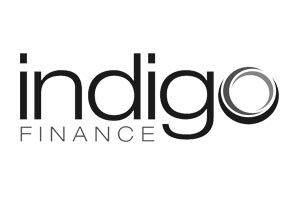 http://www.indigofinance.com.au/wp-content/uploads/2017/03/default-v2.jpg 198 300 wsadmin http://www.indigofinance.com.au/wp-content/uploads/2017/01/indigo-finance-logo.png wsadmin2014-03-08 01:30:162017-03-09 02:45:34What do changes in the Privacy Act mean to you? What Goes Down, Must Go Up..
http://www.indigofinance.com.au/wp-content/uploads/2017/03/default-v2.jpg 198 300 wsadmin http://www.indigofinance.com.au/wp-content/uploads/2017/01/indigo-finance-logo.png wsadmin2013-10-03 01:24:452017-03-09 02:45:49What Goes Down, Must Go Up..
'Big school' means a lot of things, however from a financial perspective it can mean No More Childcare Fees!